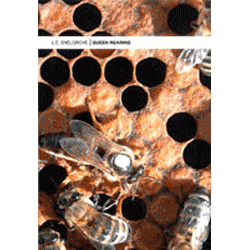 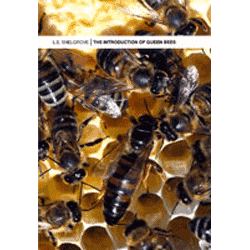 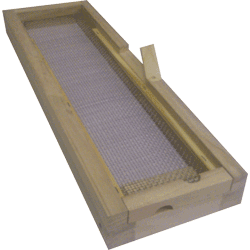 British National 3 Frame 1/3 Bee Hive with Standard Brood box. 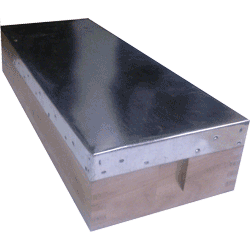 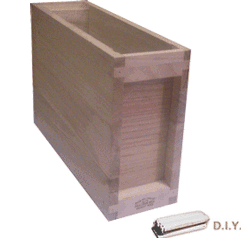 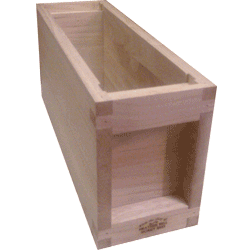 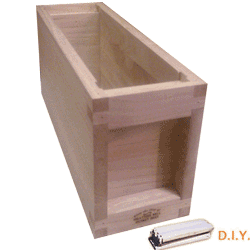 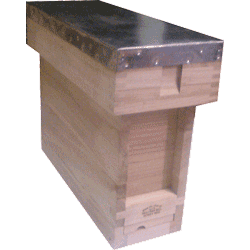 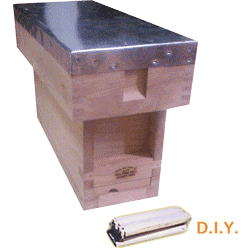 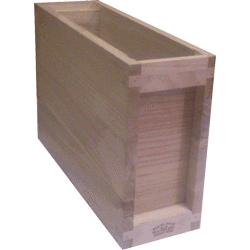 British National 3 Frame 1/3 Bee Hive with Extra Deep 14x12 Brood box. 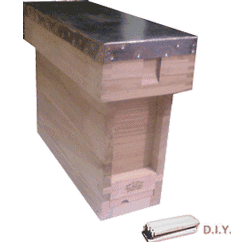 Bee space both sides with 2 holes for feeding. 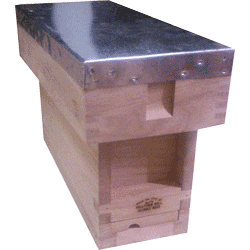 British National 3 Frame 1/3 Bee Hive with Extra Dep 14x12 Brood box.